The school holidays are mere days away and Master I is counting down the days. So am I to be honest. I am sure that the gloss will wear off by the second week, but right now I am happily looking forward to mornings without lunch prep and shouting. I can’t wait for days spent in our PJs. Baby E will still have a couple of day-care days, but rather than putting Master I into care and working, I will enjoy some mummy/son time with my eldest. There are a some great movies coming out – Home is a definite, Cinderella might need some more convincing. There is a new dinosaur exhibit to explore. The days are still warm enough for the beach. We will get to spend time with cousins and full days playing with friends. 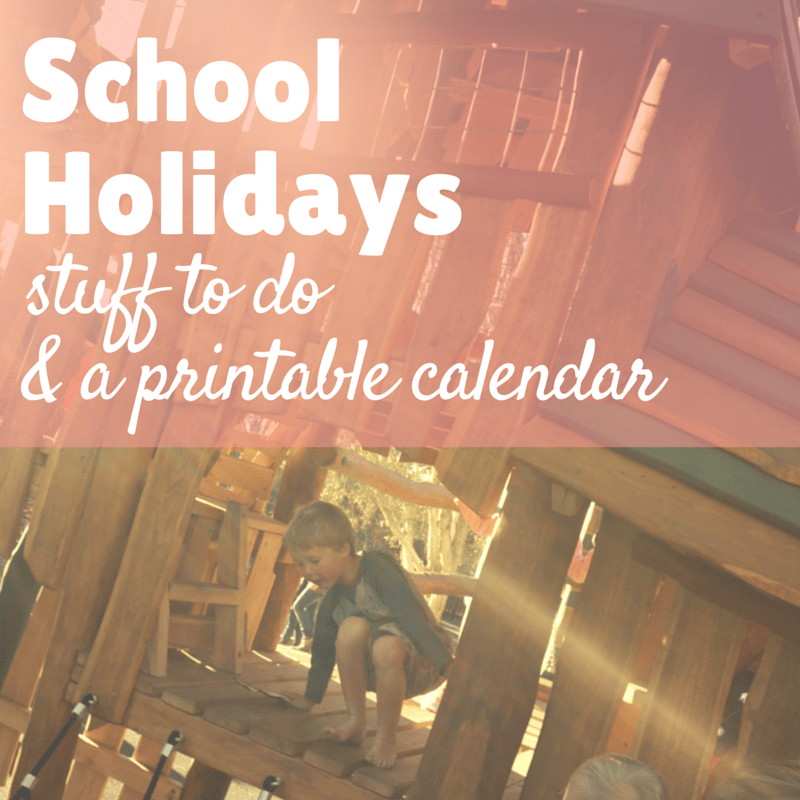 Every holiday we try to pack all sorts of things in, and a calendar is useful for planning our days. Below is a printable PDF version that you can use too. A few years back my dear friend spent a day with a stylist. 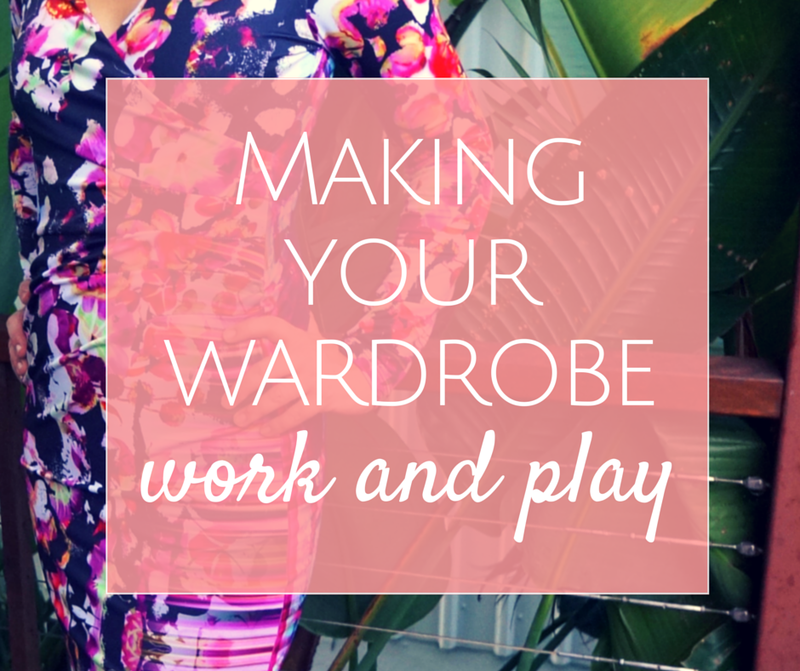 She was pampered with new hair, fresh makeup, a wardrobe audit and advice. I was very curious, and yes, just a wee bit jealous. 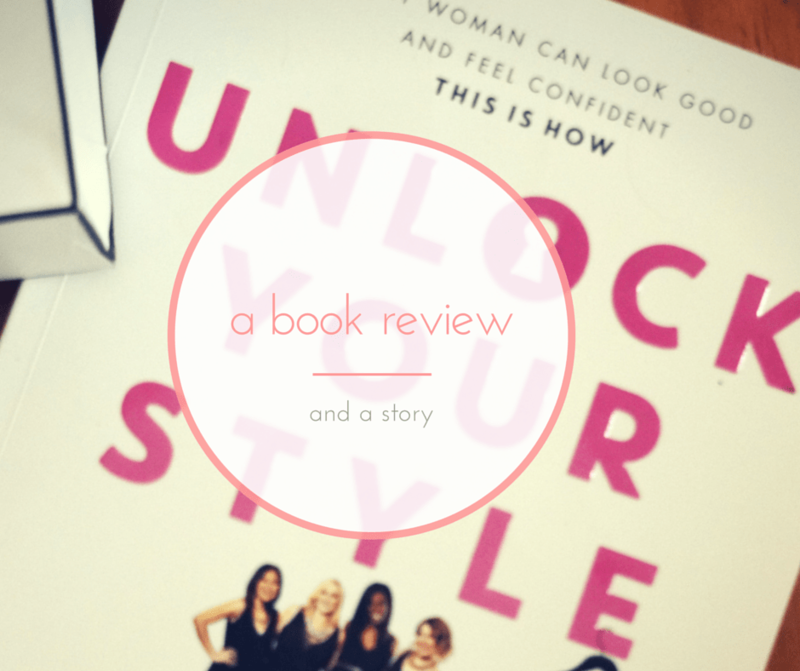 My friend loved her experience and her hot new outfits but one morning with a stylist didn’t fundamentally change her style. One of my favourite childhood memories is watching my mother sew. 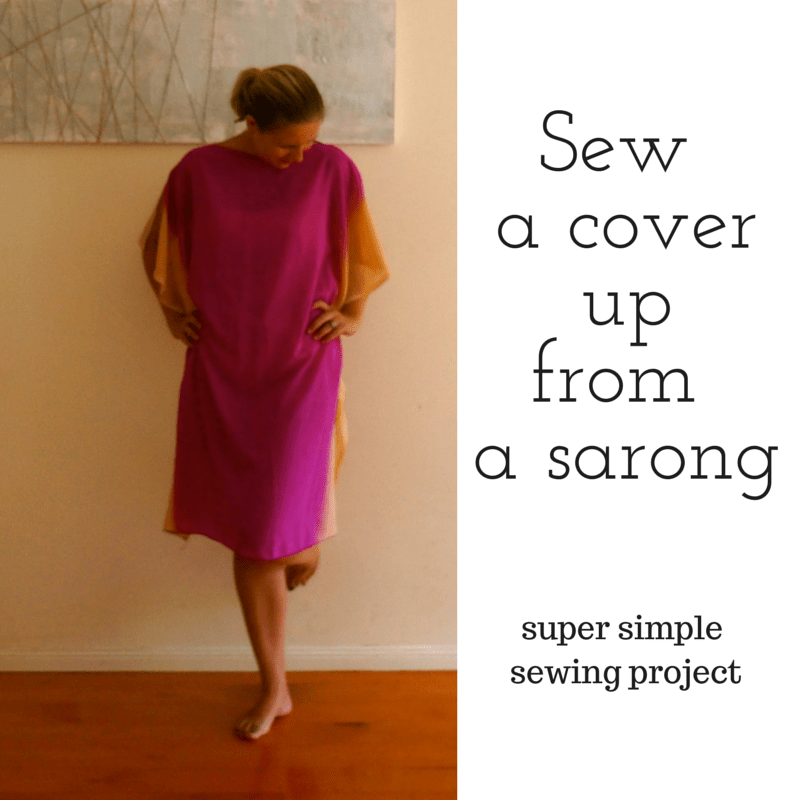 The fact that she could conjure gorgeousness from fabric, a pattern and her sewing machine was like magic. When I was quite young, she taught me how to do the same thing and I am so grateful. I still make some of my own clothes, although nothing as ambitious as my mother makes. It’s such a wonderful, creative past time and I intend to pass it down to my sons. Not that long ago, style inspiration came from magazines and people watching and that was about it. The internet and social media have opened up so many new windows on style. 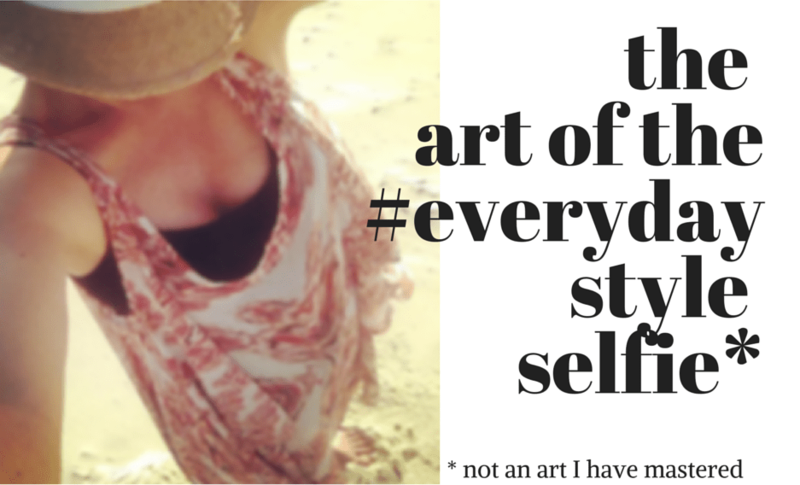 We have gorgeous style bloggers (I hope you don’t mind me masquerading as one for a month). We have sites dedicated to street style (same faves below). People sharing their outfits on Instagram and their inspirations on Pinterest. We have so many online goodies to choose from, with a whole wide world of shopping at our fingertips. We can watch fashion shows being lived streamed from all corners of the globe. We can even customise shoes and bikinis through online magic. Fashion has become truly democratic. And whilst some will mourn that, I think it’s a good thing. 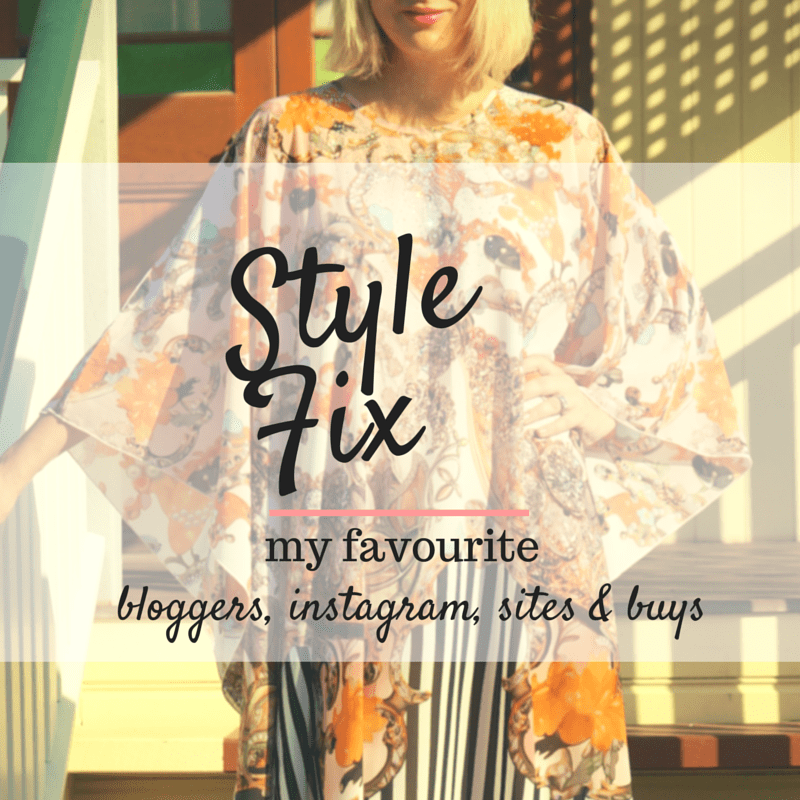 Here are some of my favourite style people and sites.